Newly discovered, Pink City Prints is a line of hand-made womenswear crafted by Artisans in Jaipur (the "Pink City"). 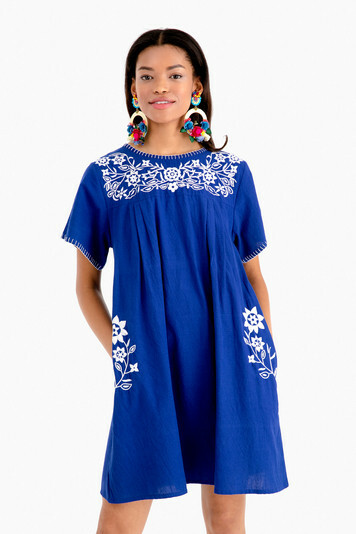 In a bold blue with white embroidery, the Mexican Short Dress will add a boho-chic touch that is all tied together with a sash-tie at the waist. You will be ready to make the rounds at pool parties, tikki bars or date night!